SEO vs. Content Optimization: Who’s the Winner? There’s a bit of a battle between designers and coders when it comes to this concept. 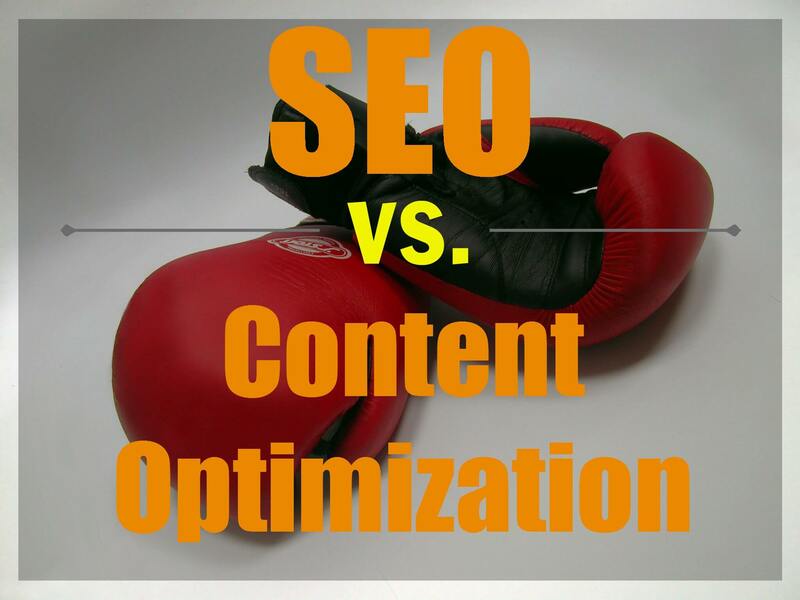 “SEO vs. content optimization” is a bit of a buzzword (buzzphrase?) in our industry, and we’ve seen it come up more than a few times. Google’s latest algorithm, Hummingbird, focuses on exactly that junction between SEO and content optimization. But what are the differences and how much of this techie mumbo-jumbo do you really need to know? Answer: there is a difference between them, and you definitely should know a bit of the mumbo-jumbo (although I’ll try to keep it restrained to simple jibber jabber to make it easy on you). If used in the right way, however, the process is not only simple, but fairly intuitive. In layman’s terms, SEO is a way to manipulate your text and coding to make yourself more visible to search engine spiders. (Don’t worry. They’re not like real spiders.) Search engine spiders “crawl” your web page looking for keywords and other terms that help them decide where to rank you on a search results page. In the past, before content optimization was a thing, this meant keyword stuffing and lots of link building. play guitar, how to play guitar, playing guitar, string instruments, Stairway to Heaven, classic guitar, guitar chords, guitar strings…. That was basically a “behind the scenes” (but obvious) look at SEO. In more recent years, this has taken the form of “keyword stuffing” (using your selected keyword as many times as possible in an article, no matter how dumb it sounds) and link building (posting a link to your web page on as many pages as possible, whether it’s relevant or not). Content optimization, on the other hand, is a way to give higher search engine credibility to the sites that deserve it. You know, sites that are full of well-written, informative, accurate, valuable content (like this one; wink). Content optimization encourages individuals and businesses to write well and actually know what they’re talking about (what a concept, right?!) in order to be seen as an authority on a certain topic. Now, the #1 search result on Google doesn’t go to the chump who thought up the most synonyms for “guitar.” It goes to the one who’s the best at informing people about guitars. So what’s the verdict? It seems like it would be obvious (“Content optimization all the way!”), but in reality, you need both. Without content optimization, SEO is basically SPAM disguised as an article. But without SEO, your excellent content might as well be on a legal pad hidden in your filing cabinet. You need valuable content (well-written articles, informative videos, sparkling podcasts), but it will get lost unless there’s some form of SEO to hold its hand. Content Optimization is your raw talent. SEO is you appearing on The Voice. So how can you wield both methods effectively? Copyblogger: You’ve heard us mention Copyblogger before, and for good reason. They are the leaders in learning how to write with more sparkle, clarity, and selling power. Neuromarketing is another good one to learn more sales tactics. SEO Plugin: We use the WordPress SEO plugin by Yoast to help us flag down the Google spiders and get more search engine visibility. They make it incredibly simple to optimize your post for whatever keyword you select, and even give you a score on how well your site is optimized. Social Media: Social media sites are the best way to get people to share your content. Stick to a manageable number of sites, and don’t feel like you need to be on every social media site in order to be seen. (If you don’t have a “visual-based” business, don’t bother getting an Instagram.) Because Google’s new algorithm uses the number of shares, likes, and “+1s” to decide whether your content is “valuable,” you really can’t afford to ignore social media anymore. When in doubt, remember to write for your audience first. Search engines don’t hire you, customers do. Write for your audience first. Search engines don’t hire you, customers do. Clarity Creative Group is a Orlando SEO & internet marketing company located in beautiful Orlando, Florida. I would so want to be on Adam Levine’s team. Awesome! 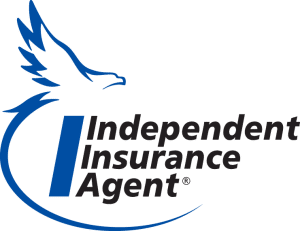 We love blogging and what it can do for you (or your business). We actually discussed Blogger vs. WordPress here in this post but we “metablog” all the time! Search the “Blogging” category on our blog for more articles!